See this deer? 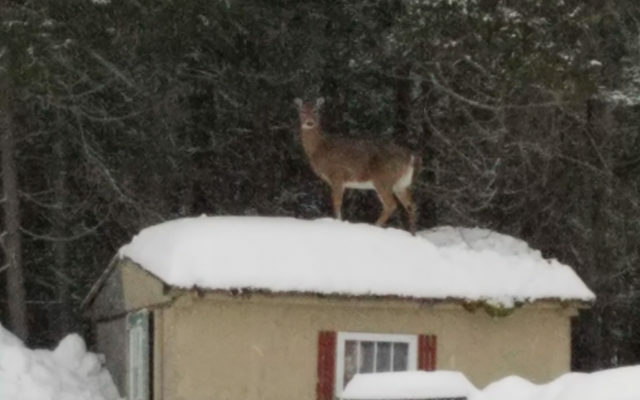 The white-tail jumped on top of a shed in Allagash, Maine to get food to eat. This is why landowners need to build deer fence around properties. It's best to install 7.5' to 8' deer fencing, as a deer won't attempt a 7' jump unless they are being chased by a predatory animal. Deer are desperate for food in winter; and they are patiently waiting for spring when gardeners start planting spring flowers and fresh vegetables. It's time to protect landscapes now with a garden fence....so Bambi doesn't end up on top of your shed.